Naps are a critical component of your child’s total sleep quota. But getting your child to nap can be a struggle. Here are the 5 secrets to successful nap times. Get the body clock on your side. The body clock tells the brain when to sleep and when to be awake. It must be set. Otherwise, your child’s brain has no idea when it is supposed to sleep. The body clock is set by regular wake and sleep times, meals, and exposure to morning light. To get Mother Nature working for you, establish a consistent wake time for your child - within a 30-minute window. If he’s not awake by that time, wake him. Serve six mini-meals, spaced 2.5 to 3 hours apart at consistent times throughout the day. Plan morning outdoor time into your daily routine. 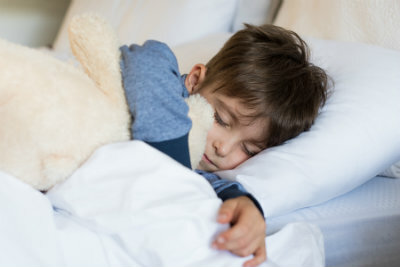 Know the sleep cues to catch your child’s natural window for sleep. When you see the first yawn, stumble, seeking contact with you, hear the first whine, it’s time for sleep. Do not wait until your child is crying, melting down, wild, or not listening at all. When you see these behaviors, your child is overtired and will struggle to fall asleep. Use the clock as a guide. Tiny toddlers may be ready for their first nap a mere 2 to 2.5 hours after awakening. Older toddlers are typically ready about 4 to 4.5 hours after awakening. Preschoolers are ready about 5 to 6 hours after awakening. This is why the consistent morning wake time is so important – it allows you to predict your child’s perfect nap time. When you see that first yawn, eye rub, stumble, begin your naptime routine. Keep it simple and short, not longer than 10 to 15 minutes so that you do not accidently push past your child’s window for sleep. Do not wake your child from naps. A toddler can easily nap 3 to 4 hours, and still sleep another 10 to 11 at night. The key is that your child is going down for his/her nap near noon, so that even if he sleeps four hours, it’s only 4:00 PM. If after 45 minutes, your child has not fallen asleep, naptime is over. Know that you will then put your child to bed earlier so that she can get the sleep she needs. Maintain a sleep journal to help you identify your child’s natural pattern and tweak your routine as needed.